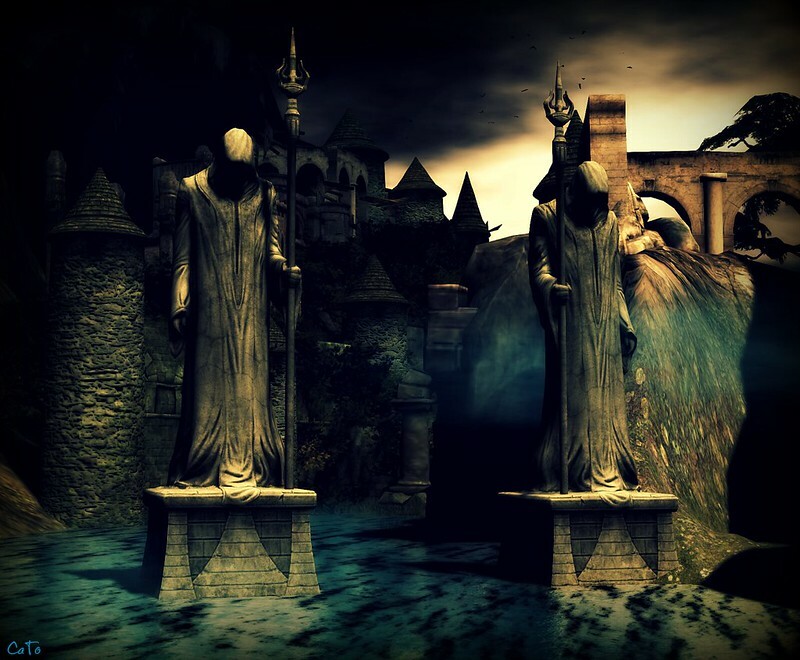 When my friend Kerena pointed me to Valyria, Calas Galadhon’s Halloween 2015 sim, I was a bit hesitant to go there. Not that I thought it wouldn’t be well made, but well:…Halloween. Not my thing. Never was, never will be. However, to my delight Valyria is not your ordinary, filled with ghosts-and-pumpkin-zombie sim. Nope. I would dare say it should be online all year, as this place is a wonderful fantasy location, with so many cool details and things to see, admire and explore. Even for those who, like me, do not care about Halloween. Go to Valyria and take the (boat)tour, do the Quest (all information is on the landing-point) and/or take pics! It is amazing! A gorgeous location for all, seriously: go visit! Really! Love your photo Cait! 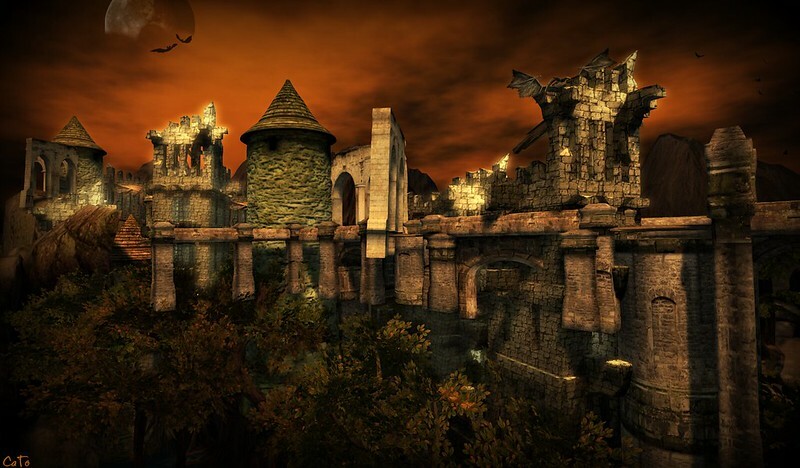 I totally agree, Valyria is beautiful and not that much Halloween (I’m not a fan either). stunning images Cait! I will visit! Pingback: Valyria | ZZ Bottom misadventures in Virtual Worlds!